If you are stuck in the past and don't yet shoot film, then this section is for you. Computer Generated Sky Maps to Telescope Control, ask here. Eyepieces, Mounts, Adapters, Goto, etc. Programs, tips, tricks, techniques, and any other dirty little secrets to help one get the most out of their images. Can't afford the right gear? Gotta build it yourself? It sux we know, but we're all in the same boat! This section is for those of you who are brave enough to take on the challenge of building your own Domes, Telescopes or any other kind of Astro Gear. 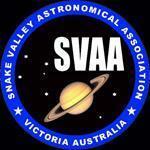 AVI's Planetary imaging and related topics. Got something funny to share? Something interesting to show? Post it here. Have an astronomy topic that just doesn't fall under another thread? This must be the place! Please post information about upcoming celestial events such as comets, asteroids, meteor showers, star parties and any other event worthy of internet bandwidth. Buy and Sell Your Astro Gear Here. Make sure you have read our terms and conditions. The Space Station, Space Shuttle, Hubble and Other Man Made Satellite Discussion Here.